Conservatory & Extension Blog | Spreading the word. Ultraframe has launched a new range of packaging for their market leading range of conservatory roofing systems. 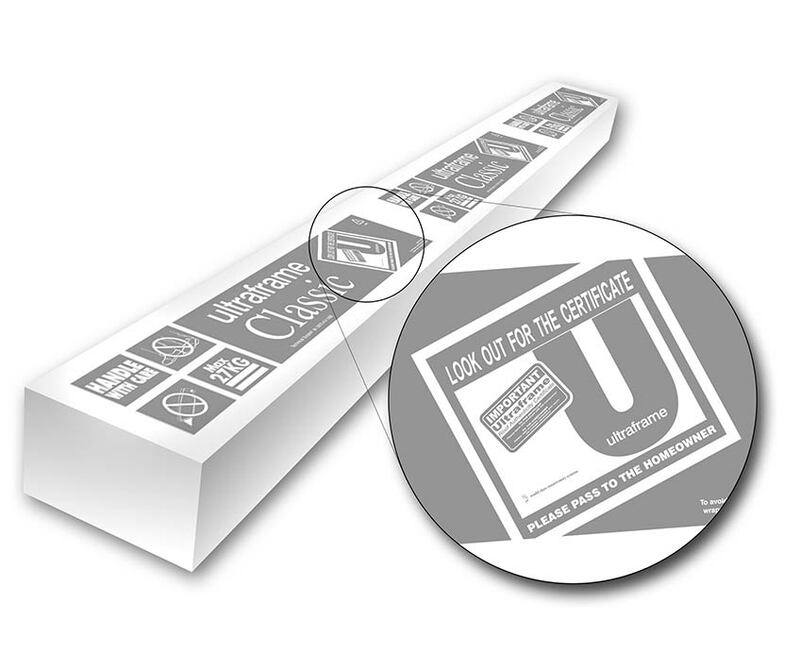 The newly designed packaging acts as a promotional message that reminds and encourages installers to pass the Ultraframe Certificate of Authenticity onto the homeowner. The certificate is proof that the consumer has received a genuine Ultraframe roof. The COA has already proven a big hit with homeowners throughout the UK with over 5000 certificates authorised to date. All too often the conservatory and window installation industry is regarded with suspicion due to the unfortunate actions of a minority of installation companies. Bad workmanship, high pressure selling, poor service and inferior products "passed off" as Ultraframe products, have tarnished the image of our industry. A "Homeowner Pack" is included with each roof going out from Ultraframe and installers are encouraged to pass this pack to the consumer on completion of the conservatory. The homeowner will then be required to complete the registration card and send this freepost to Ultraframe's consumer care centre. After verification, they will then receive their Certificate of Authenticity, proving that their roof is a market leading Ultraframe product, along with a copy of the Ultraframe Maintenance. How the homeowner will benefit. The certificate will also prove useful when a consumer moves to a house where a conservatory is already installed, so that in the unlikely instance that a problem does arise, the new owner will know what type of roof they have on their conservatory. For consumers wanting to sell their property the Certificate of Authenticity is also an additional selling point they can offer to a prospective buyer. The highly visible messages on the new packaging will act as a reminder to the installer to pass on the COA to the homeowner and may also prompt the homeowner to request it themselves after seeing their conservatory being unpacked.. The Certificate of Authenticity is just one example of how Ultraframe continues to maintain their position as the number one choice for conservatory roofing solutions. For almost 25 years Ultraframe has been at the forefront of the industry, investing heavily in research and development and pushing forward the boundaries of design. The Certificate of Authenticity protects this investment and the Ultraframe brand name by eliminating the risk of rogue installers fitting inferior systems and passing them off as an Ultraframe system and is part of Ultraframe’s long term aim, along with initiatives such as the Ultra Installer Scheme, to be the consumer champion.